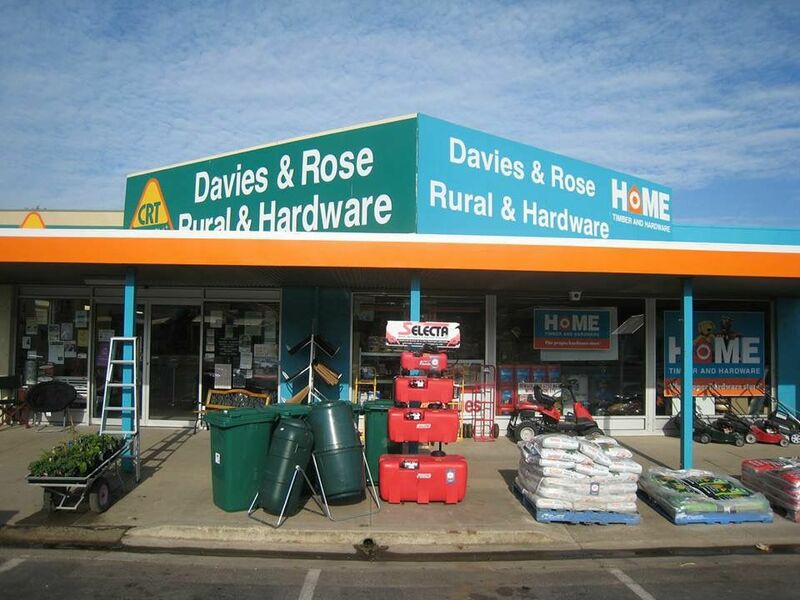 Davies & Rose Rural & Hardware is a family owned business that has been trading for over 30 years. We are your local rural and hardware store based in Creswick. We service Creswick and surrounding towns incuding Ballarat, Clunes, Sulky, Daylesford, Ascot, Blowhard Waubra, Addington, Learmonth, Coghills Creek, Smeaton, Broomfield, Dean, Clarkes Hill, Newlyn, Rocklyn, Barkstead, Blampied, Kingston, Allendale, Bald Hill and beyond. We are proud to be your CRT local bloke, specialising in all your farming needs. We have agronomists who specialise in broad acre, pasture and horticultural crops. Along with the CRT we are also a Home Timber & Hardware store. We offer a large range of hardware products to suit all your building and DIY needs. So you can go where the tradies go, Home Hardware. Call in and visit us in store. You will find easy and convenient parking and be guaranteed great service by our friendly staff members. After a prolonged wet and cold period, now is the time to be looking at controlling broad leaf weeds in cereals and pastures. Please contact our agronomist Andrew for weed control advice.